Powerhouse rock band MAN WITH A MISSION will be returning to North America in June and July for 12 show dates. This is a concert not to miss!! Exciting, hard driven and visually stimulating! MAN WITH A MISSION made their US debut in 2013 playing two dates in New York City and Los Angeles California in December 2013 and this upcoming autumn MAN WITH A MISSION will be releasing their first U.S. Debut Album. All events subject to change. Ticket information visit the venues website. Dr. Jimi was plagued by guilt and regret that his creations had contributed to some of the most evil deeds in history and decided to put an end to it. He wanted to ensure that they wouldn’t fall under the spell of evil again and so he froze them into eternal sleep in a far edge of the world. Determined not to let his creativity potentially bring more evil into the world the Doctor burned his guitar. He managed to escape the hands of evil and cheat death again and again, but he couldn’t avoid his destiny. Retribution for his death was to keep MWAM frozen under the glaciers in the South Pole. Jimi’s last words were, “I’ll try getting a straight perm in my next life.” Time passed by and it was now the year of 2010. The planet had gone through worldwide economic crisis, numerous political and social tensions across borders, and was slowly being destroyed by pollution induced global warming. The warming and deterioration of the planet then melted the icy caskets that Dr. Jimi had jeopardized his life for. MWAM awoke from eternal sleep! Are they working for justice for this world, or are they nothing else but evil? 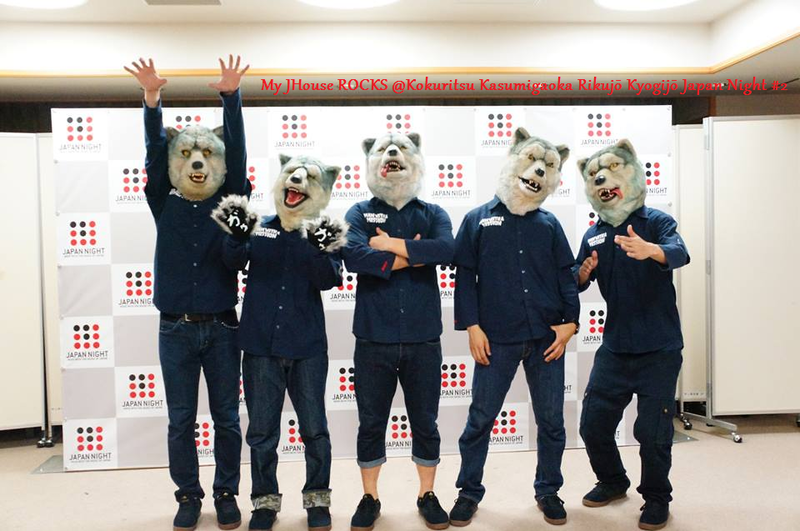 Either way “MAN WITH A MISSION” is now back on the mission around the world!